Take time with the Lord. We invite you to spend some quiet, relaxing time with the Lord. 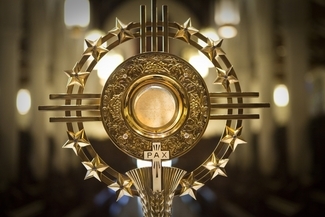 Eucharistic Adoration is a time for prayer and just "being" with the Lord. We need two or more people per time slot. You may sign up for as many time days and time slots as you wish.